This lecture will draw on Buddhist environmental thought to explore climate change and consumerism looking at human behavior and ethical choice. The event is sponsored by the Clarke Forum for Contemporary Issues and co-sponsored by the Departments of East Asian Studies, Religion, the Center for Sustainability Education, and the Luce Foundation’s Initiative on Asian Studies and the Environment. 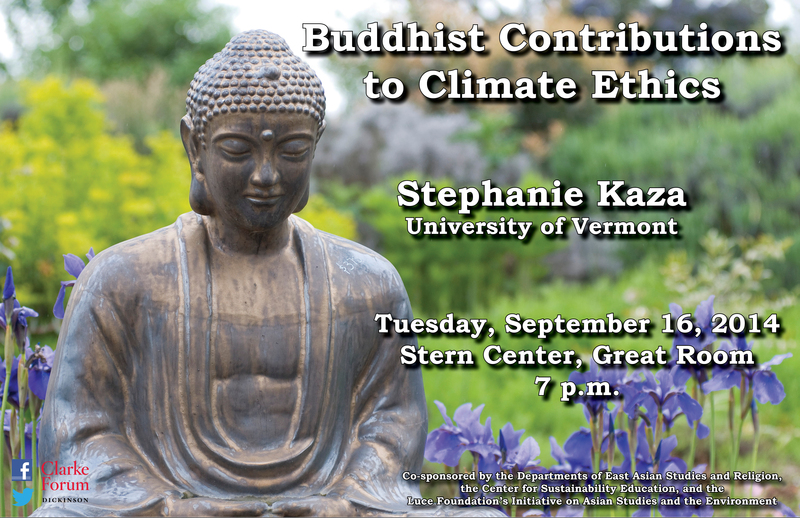 Dr. Stephanie Kaza is professor of environmental studies at the University of Vermont and director of the Environmental Program. Her courses include Unlearning Consumerism; Religion and Ecology; Women, Health, and Environment; and other values-based courses. She co-founded the Environmental Council at University of Vermont, a campus-wide consortium on sustainability, and is the faculty director for the UVM Office of Sustainability and Sustainability Faculty Fellows program. 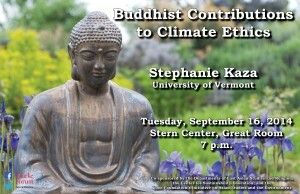 Her current scholarship focuses on Buddhist perspectives on climate ethics and bicycle commuting quality of life benefits. 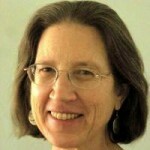 Dr. Kaza is the 2011 winner of the UVM George V. Kidder Outstanding Faculty Award for excellence in teaching. 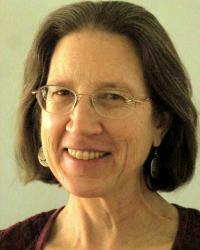 Her books include Mindfully Green (2008), Hooked! Buddhist Writings on Greed, Desire, and the Urge to Consume (2005), Dharma Rain: Sources for Buddhist Environmentalism (2000, co-edited with Kenneth Kraft), and The Attentive Heart: Conversations with Trees (1993). She serves on the executive councils of the Association for Environmental Studies and Sciences and the U.S. Council of Environmental Deans and Directors and is a national leader in supporting interdisciplinary teaching and scholarship.